SEVIERVILLE, TENNESSEE— Sharon Hinton Smith was selected through a nationwide search to co-author a book on issues of faith, titled Conversations On Faith , from Insight Publishing, a Tennessee-based publisher. Sharon Hinton Smith is an accomplished singer/songwriter, television host, and speaker. She currently has a concert ministry, which has taken her nationally and internationally. In addition, she leads worship at various women's conferences and has been recognized for her songwriting ability by the Gospel Music Association and the Great American Gospel Fest. She has led numerous chapel services for the North Carolina General Legislature. Currently, she also produces and hosts her own television show called A Wonderful Life with Sharon Hinton Smith. Mrs. Smith has been host of other television shows in North Carolina as well as an on-air personality of a News Talk Radio station. 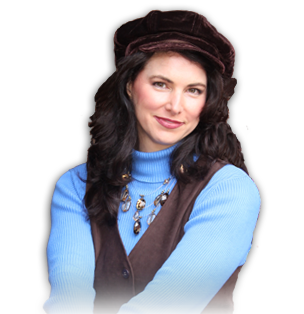 In addition to being on camera, she voices commercials for Time Warner Cable and PAX TV. Mrs. Smith is also the designer of the jewelry line - the Glimpse of Heaven Collection® . Mrs. Smith has a degree from the University of North Carolina at Chapel Hill where she was also on the Dean's list. Click image to enlarge. Larger images allow "Next" or "Previous" navigation.